I didn’t know anything about the movie apart from the fact that it was about the Iraq War and that it had 97% on Rotten Tomatoes. Telmo suggested we see it yesterday and I’m so glad that he did. It’s a nail biting, nerve recking, OMG OMG, kind of movie. Much like a japanese horror movie (or so I’m told – I don’t watch horror movies) in the sense that it’s a relentless stress. I loved it. Perfect writing, sets, acting, story line, whatever… Perfect. 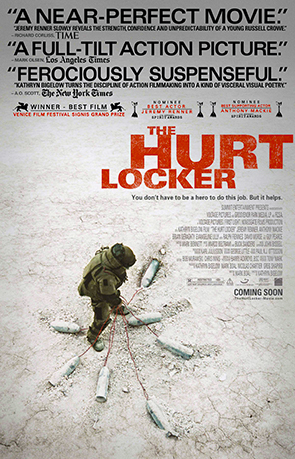 If you loved “Generation Kill“, the brilliant HBO mini series about the invasion of Iraq, you will love this movie.